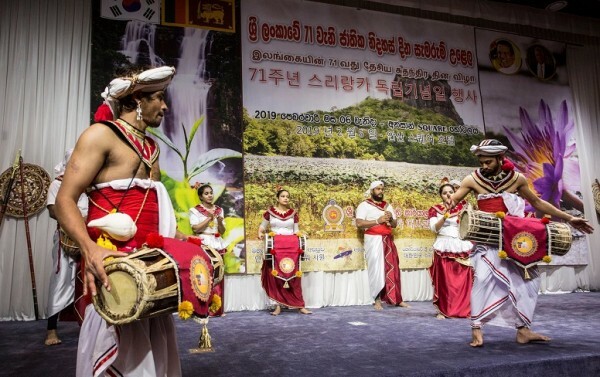 ​The Embassy of Sri Lanka in the Republic of Korea, in collaboration with the Ansan City and the Sri Lankan community, successfully celebrated the 71st anniversary of independence of Sri Lanka in Ansan City on Wednesday, 6 February 2019, with the participation of the Mayor of the Ansan City Yoon Wha-sub, as the Chief Guest of the event. 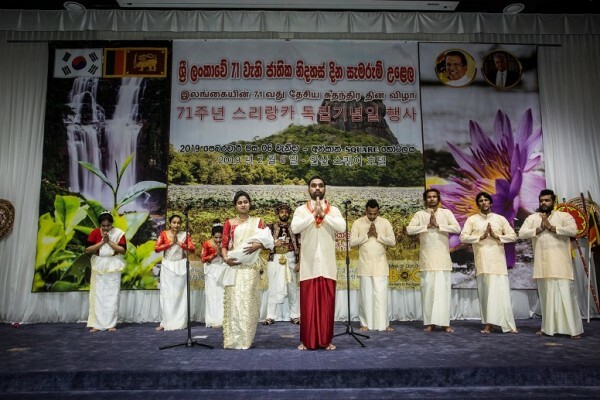 The celebrations held at the Ansan Square Hotel was organised by the Embassy with the support of the Mahamevnawa Meditation Monastery, the Bank of Ceylon and the Sri Lankan community in Ansan. 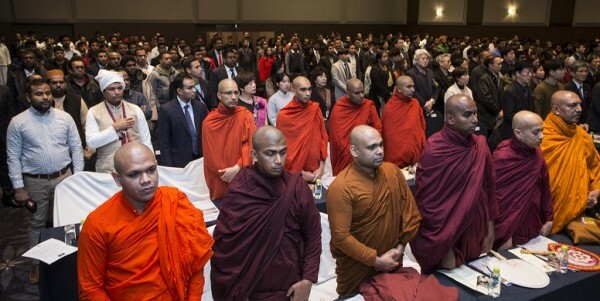 The event was attended by over 70 Korean dignitaries including the Honorary Consul of Sri Lanka in the Gyeongsangnam-do in the Republic of Korea Dr. Seo Minjae and Chief Monks from Korean Temples in deferent regions of the Republic of Korea, senior management of selected Korean SMEs in Ansan employing Sri Lankan migrants under the Employment Permit System (EPS); as well as Korean media, among others. 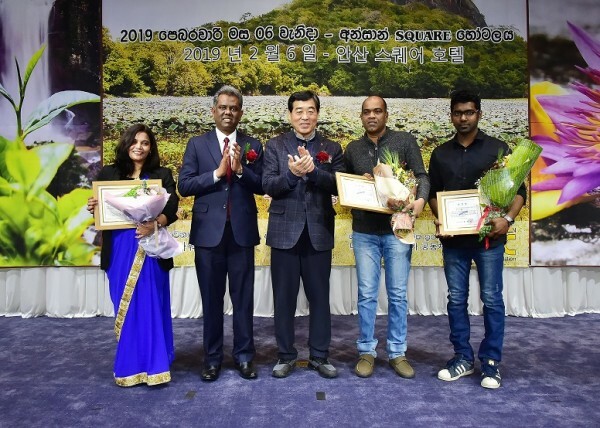 From the Sri Lankan side, the event was attended by the Maha Sangha, approximately 500 Sri Lankan employees living in different regions in the Republic of Korea, Professionals and members of the Sri Lanka Students’ Association in the Republic of Korea. 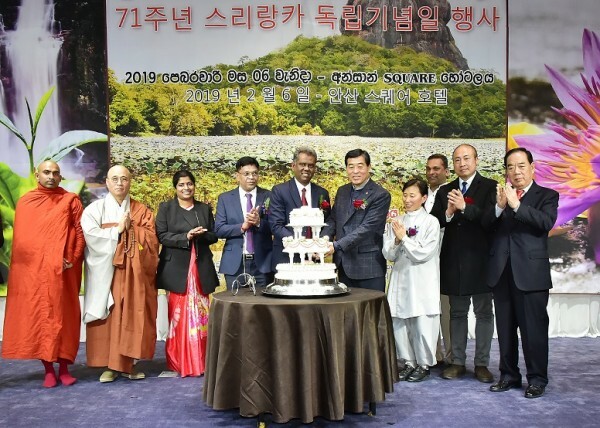 Chargé d’ Affaires of the Embassy of Sri Lanka in the Republic of Korea Jagath Abeywarna warmly welcomed the Maha Sangha, Mayor of the Ansan City Yoon Wha-sub, as well as Korean dignitaries and Sri Lankans who attended the event. He extended his deep appreciation to Mayor Yoon and the Ansan City Office for the strong support extended to Sri Lanka and the Sri Lankan community in Ansan, as well as for the Mayor’s participation in the celebrations. He also highlighted the follow up steps taken by the Sri Lanka and the Korean Government, in conjunction with the state visit of the Sri Lanka President Maithripala Sirisena to the Republic of Korea in 2017 such as holding of the Second Round of Political Consultations and the First Round of discussions of the Joint Economic Commission between Sri Lanka and the Republic of Korea, in 2018. 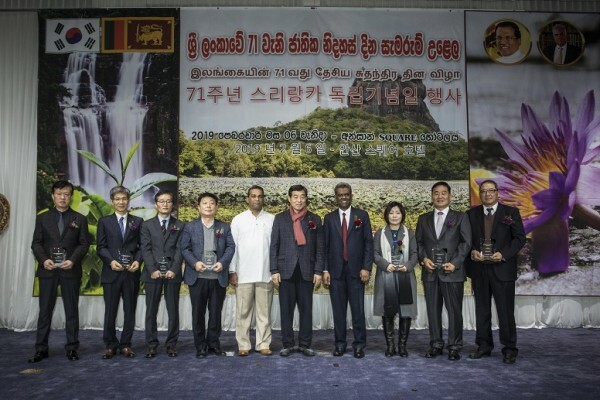 Delivering congratulatory remarks on the occasion, Mayor Yoon Wha-sup strongly welcomed the selection of Ansan City for the celebration of the 71stIndependence Day of Sri Lanka. 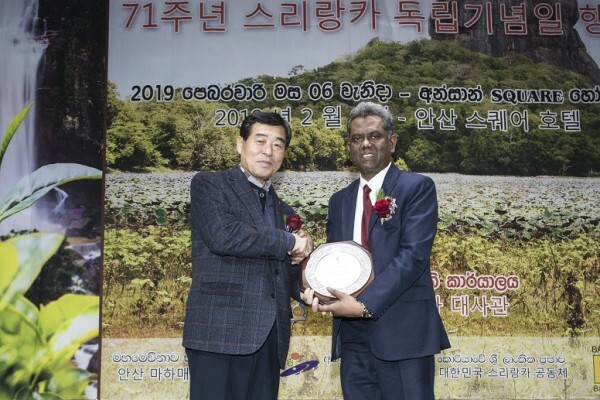 He further extended his deep appreciation of the Korean Government and the Ansan City, to more than 3,500 of Sri Lankan community in the Ansan City and surrounding areas, for their contribution to the economy of the Republic of Korea. The National Day Messages of President Maithripala Sirisena and Prime Minister Ranil Wickremesinghe were read at the event by the senior staff of the Embassy. 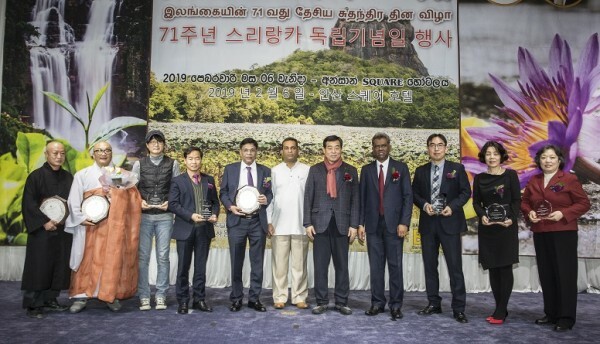 The Chargé d’ Affaires presented special plaques of appreciation to the Mayor of Ansan City and other Guests of Honour, as well as seven (07) Heads of Korean companies employing Sri Lankans, in consideration of their strong support to enhancing Sri Lanka - Republic of Korea labour relations, and for their contribution to the Sri Lankan economy. 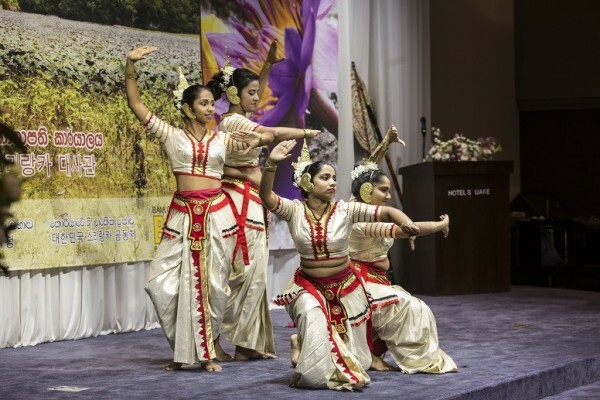 The celebrations also included serving of Sri Lankan food, sweet meats, as well as an attractive cultural programme featuring traditional Sri Lankan dance and music and Korean musical performances. The Independence Day celebrations were organized by the Embassy of Sri Lanka under the purview of Counsellor (Employment and Welfare) Jagath Batugedara, continuing the Embassy’s concept of holding independence celebrations in different regions of the Republic of Korea hosting a significant concentration of Sri Lankan employees.